How do you know that your house is really Green? Green Home Analysis discovers the reality. 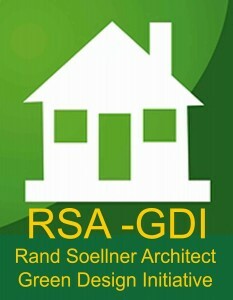 Green Home Design Analysis Services are offered from Rand Soellner Architect. Want to make sure that your custom residential design and construction are actually healthy for you & your family and your community and the most energy efficient it can possibly be? Division 1: Administrative and Healthy Home Analysis. Administrative procedures to help you and your design firm implement policies to guide your builders and material suppliers. Division 2: Sitework Analysis checklist. Methods and procedures to help guide your sitework to minimize slope erosion, minimize sedimentation flow to nearby watersheds and other helpful procedures. Divisions 3,4,5 : Concrete, Masonry, Metals Analysis. This examines these materials and their incorporation into the project and also looks at how far certain items are from the jobsite to minimize the fossil fuel required to transport them to your jobsite. Try to use products and materials, if possible, from within about 500 miles or closer to your building site. Not many people think about the gasoline and diesel fuel required to move their residential construction materials from one side of the nation to the other. 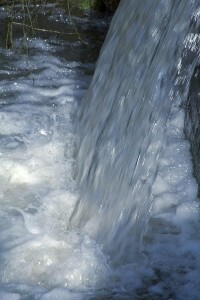 This can be a significant impact to the carbon footprint of your project, if that concerns you. Division 6 : Wood Framing Analysis. This looks at the amount of embodied energy required to produce, install and operate a house or other project with certain types of wood materials. Usually, the less that has to be done to a cut tree, the less embodied energy it has (that’s good; that means it does not require much expenditure of fuel or other energy to manipulate or manufacture it). This is one of the reasons that log houses and timber frame members should rate high in the environmental scale, providing they do not have to be shipped around the world. Division 7 : Insulation & dampproofing Analysis. This is extremely important. The selection of insulation for a house or other structure has a significant impact on how much energy is required to heat and cool the project throughout its lifetime. Normally, the more insulation you have, the better off you are. You do want your HVAC equipment to run enough to eliminate excess humidity and having too much insulation could impact that, however, you can also have a humidistat installed to detect excess moisture in the air and run your heating and air-conditioning to handle that. Certain types of insulation have better “R” values than others. There is normally substantial differences in price between the least expensive types of insulation (normally fiberglass) and more thermally resistant insulations (like spray foam polyurethane). Your budget should be examined to help you understand how much and what type works for your project. Your architects and engineers can help you, or we can. Division 8 : Doors and Windows Analysis. We examine the materials and assembly of your doors and windows. For instance, most residential projects these days typically should have at least two panes of glass in windows and doors with glass lites. Why? Because this is one of the most effective methods to retain views, while separating the heat and cold from the exterior of your house and the interior. Without this, heat and cold are directly transmitted through the dense glass pane into your residence. Also, the frame materials are examined, their need for maintenance, and possible thermal breaks achieved in their manufacture to further isolate the exterior from the interior in terms of energy transfer. Division 9 : Finishes Analysis. Some finishes are healthier for you than others. And some finishes consume less energy in their manufacture (known as “embodied energy). Carpet, for instance, typically off-gases a variety of fumes derived from the curing of the chemicals that went into its manufacturing. We actually recommend using other materials and minimizing carpeting. For those clients who insist on using carpeting, our specifications describe what chemicals can Not be used in its manufacturing, to hopefully minimize any adverse effects. Wood is an excellent choice for many finishes, with the proper final protective coating. Division 10, 11, 12 : Specialties, Appliances, Furnishings Analysis. Many people can overlook the energy efficiency ratings of appliances. This is one of the most important choices you can make. Nearly every appliance comes with Energy Star ratings and energy consumed labels so that you can make an informed choice. 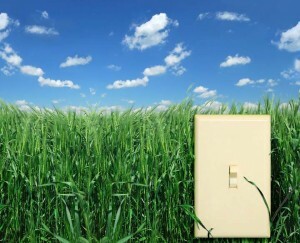 We suggest selecting appliances with the lowest energy consumed per year. Divisions 13, 14 : Special Construction and Conveying Systems Analysis. Division 15a : Mechanical (HVAC) System Analysis. This has much to do with your heating, ventilating and air-conditioning. The choices are numerous. For instance, you can now find HVAC systems that “zap” dust in the airstream, meaning that you can eliminate paper air filters if you choose to purchase this upgrade feature. There are also many choices for your SEER values, which relates directly to how efficiently your equipment will operate which directly affects your monthly utility bill, which affects how much energy your power company must expend, likely in fossil fuels, to send you that power. Division 15b : Plumbing System Analysis. Division 16 : Electrical System Analysis. Division 17 : Low Voltage/Information Systems Analysis. Each of these system green analysis checklists compares what your project appears to be implementing against Energy Star, Energy Code and Rand Soellner’s own enhanced Green Design Initiative (GDI) Program, which exceeds all standard requirements, to obtain the Greenest House possible for you and the healthiest. If you want your house to sip energy and have clean indoor air and be lower maintenance, we encourage you to obtain our green services to check what your project documents and/or construction is providing to give you the opportunity to upgrade now, while you still can. Have your residence be the best it can be! All images on this article are copyright protected either by the author or stock photo suppliers and are not to be separated and copied apart from this page. We are Green Architects, and we offer Energy Star analysis. We created the Healthy Home Design program and we founded Home Value Engineering Architecture. 1. 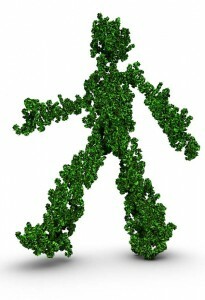 How many Divisions of work are involved in Green Home Analysis? 2. Division 7 involves what area of analysis? 3. 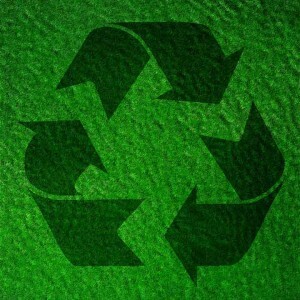 Would a Green Home Analysis include review of your HVAC system? then click here: Green home architect to go to the next level 10. 1. c., 2. a., 3. a.